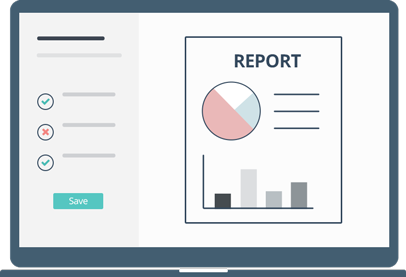 Zoho Expense organizes your expenses into a clear report that you can submit with the click of a button. Employees can add compile all the expenses from a business trip or client visit into a single expense report and submit it for approval within minutes. 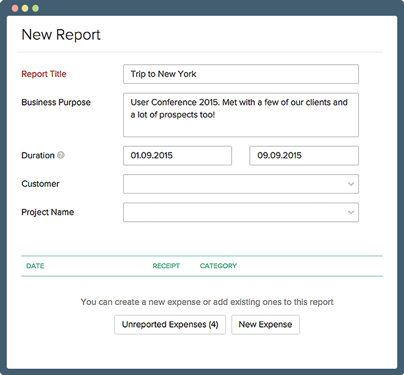 You can also automate employee expense reporting. 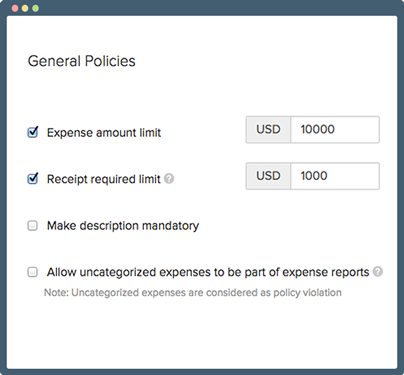 Define rules for your employees' expense reports. Set up spending limits, expiration periods, mileage reates, and more.